After 18 years it is with sadness that Godfrey & Wing announces Solutions at Work (SAW), the nonprofit affiliate of the Cuyahoga County Board of DD, will no longer be offering supported employment services at Godfrey & Wing. Godfrey & Wing first came in contact with SAW in the summer of 2000. 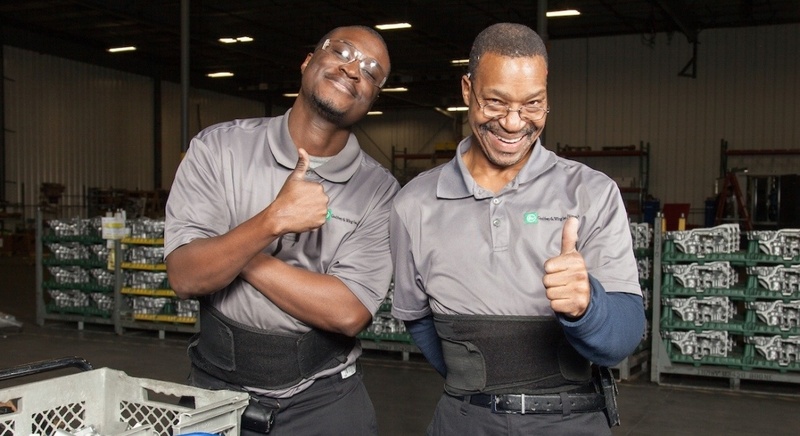 SAW and Godfrey & Wing found a formula that provides stable employment for those with a disability while generating quality products and services to Godfrey & Wing’s customers. Since 2000, Godfrey & Wing has changed locations twice as well as expanded its products and services. During this time, SAW continued to be an integral part of the Godfrey & Wing team. “We have appreciated Godfrey & Wing’s support over the years helping people with developmental disabilities gain valuable pre-employment skills. Opportunities like this have played an important role in leading to the ideals of Ohio’s Employment First initiative, with the ultimate goal of having people with disabilities obtain integrated, competitive employment.” said Marie Barni, General Manager of Communication for the Cuyahoga County Board of Developmental Disabilities. The SAW group consisted of six team members with an average tenure of eight years. Three have been with Godfrey & Wing for over 10 years. The SAW group handled up to 20 different parts per day. They assisted with preparing parts for impregnation, loading and unloading parts from the equipment baskets, as well as re-packaging for return to the customer. Members also operated vacuum impregnation equipment. As with all work at Godfrey & Wing, this work was done by following the work order instructions and the direction of the SAW supervisor. Each work order has different instructions on how the parts must be handled and packaged. Throughout the 18 year tenure, the SAW group's job satisfaction, commitment and dedication delivered exceptional results for Godfrey & Wing's customers. Their positive impact to Godfrey & Wing's success and culture has been defined by their contribution much more than any disability.